Are you managing a Facebook page for a local business? 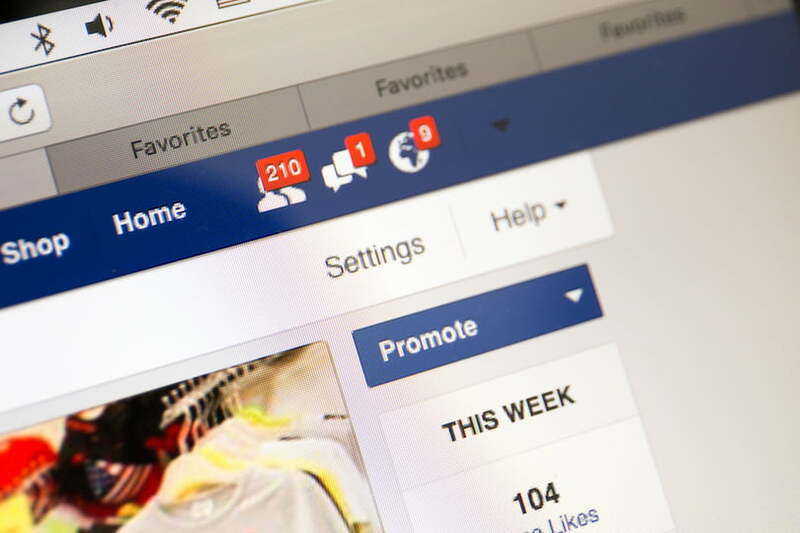 Still considering whether to use Facebook advertising? Wondering how you can get more foot traffic to your storefront or generate more calls using Facebook? Advertising to the right audience and using the right set of tools is the key to reaching more potential customers and outshining the competition. The following 4 tips can help you better utilize the latest Facebook location-based advertising features and to adjust and fine-tune your message so you can appeal to your target audience. 1. Choose the right local marketing objective. 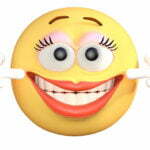 Facebook is a social network where people usually tend to hang out with friends, have fun, and get the latest news. However, with the right selection of Facebook advertising tools you can reach the right audience and make them aware of your brand and services. Facebook ads can give a nudge to potential customers to find out more about you, to make a buying decision, or to recommend your business to their friends and relatives who may also need your products or services. Depending on your local marketing goals, you can opt from a large pool of Facebook ads to promote your business. 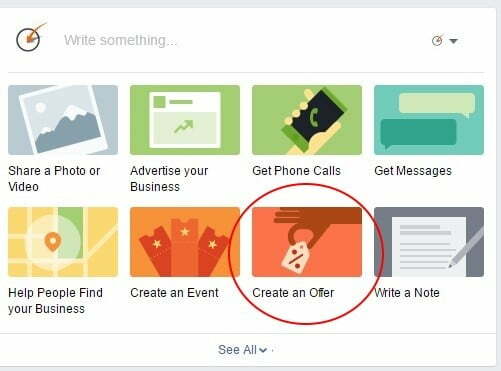 Begin your ad creation by choosing the objective of your Facebook campaign. However, there are two ad types aiming to meet the needs of local businesses: Reach and Store Visits. If you have a single business location, use the first ad campaign type while defining your service area. It enables you to show your ad to people who are currently situated near the selected area, and not waste your money on Facebook users who are unlikely to be interested in your offer. On the other hand, the Store Visits objective is only available to businesses with multiple locations that have enabled the Locations feature. 2. Experiment with your targeting. Facebook’s advertising allows you to combine multiple targeting approaches. You can target potential customers by location, demographics, interests, and behaviors. You can also reach people who have already interacted with your business on Facebook, your website, through offline channels, or other platforms. Facebook allows extremely detailed location-based targeting. Your targeting can be as broad as a country or state, or as narrow as city, neighborhood or ZIP code. 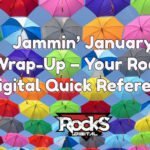 You can include one or multiple locations, as well as prevent your ads from appearing for people that fall into a specific location. You can refine your target audience based on their spatial behavior – whether people are currently living near your business, or they are just visiting or passing by. 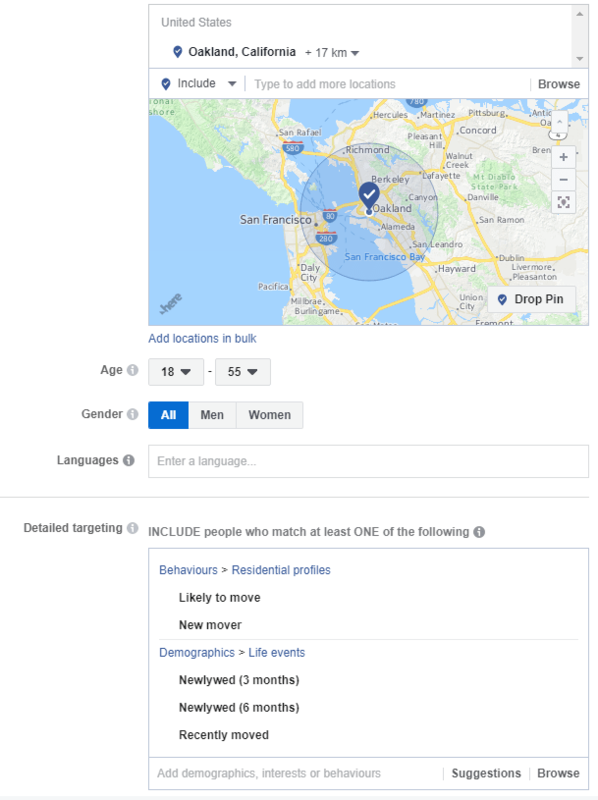 This type of information is determined by the city mentioned in the Facebook user profile, and is also based on the device and connection information that Facebook collects. 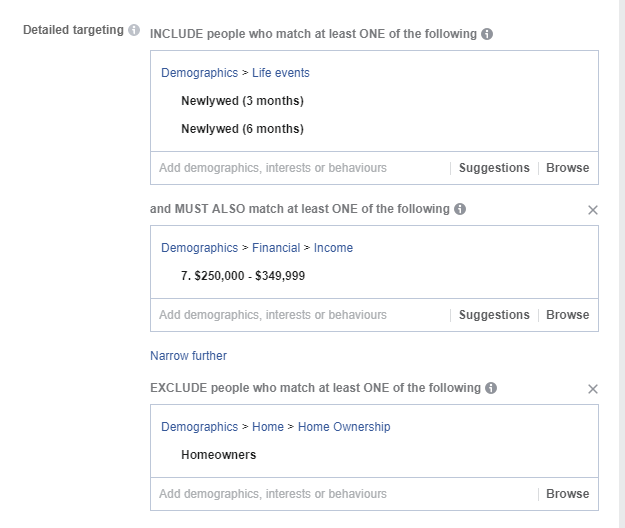 However, to get the most out of your local Facebook ads, add more layers of audience information like age range, gender, hobbies, income, and behavior data. 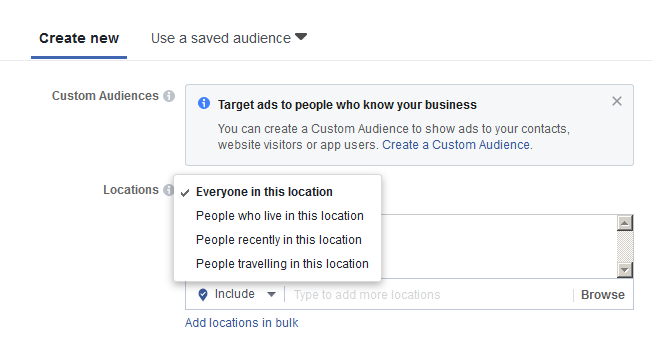 As with the location targeting, in the “Detailed Targeting” section you also have the option to include or exclude people. When you add criteria to the “Include people” or “Exclude people” fields, you will include or exclude users who meet at least one of the listed criteria. Let’s say you are a realtor based in Oakland, California. Your target audience will consist of people who are likely to be new movers, who have updated their current city to Oakland in the past 6 months, or people who have recently married and are looking for a home with their partner. This time your ads will be shown to people who are newlyweds, have an estimated household income between $250K and $350K, and don’t own a home. Be careful with the interest targeting options because you may serve your ads to your competitors and suppliers. Incorporate behavior and demographic targeting to enjoy much better results. If you own a barber shop in Denver, Colorado, your target audience will be men between 18–65 who invest in men’s grooming services and products. Don’t forget to exclude your competitors – barber stylists and hair designers. 3. Boost conversions with call-to-action buttons. Test different approaches to your CTAs, because your target audience will respond differently to distinct stimuli. 4. Create special offers that can be redeemed offline. Linking the online activities to actual sales results is of great importance to plan out your future marketing strategy. Your current Facebook followers and prospects are more likely to take action for a targeted offer. 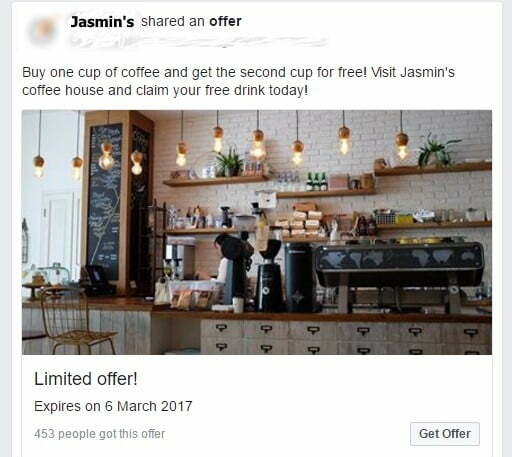 Facebook Offer ads enable you to share discounts and coupon codes with your targeted audience and drive foot traffic to your physical store. You can upload promo codes and barcodes, set an expiration date, and limit the number of people who can view your offer. 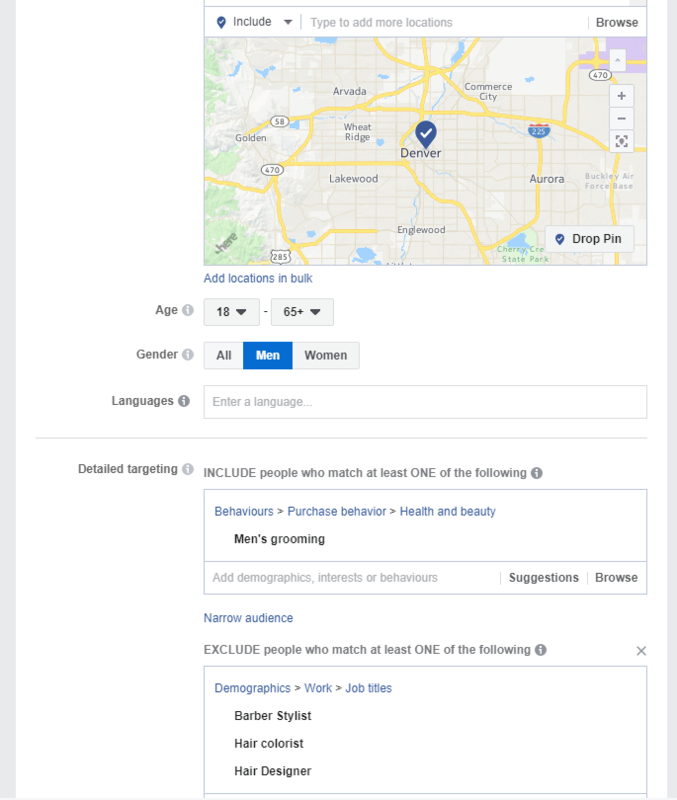 Ads are a vital part of Facebook’s News Feed, and uncovering the nitty-gritty of Facebook ad features will help you master the intricacies of your Facebook local business page management process. Having a smartly predefined target audience, a clear message that is consistent with your ad and landing page, and an irresistible offer is a game changer for your local marketing efforts. The sooner you implement the above tips, the better you’ll connect with your local audience! How are you using Facebook advertising to promote your local business? Share your experience with us in the comments! Manuela Gadancheva is a digital marketing expert at OptiLocal - SEO agency specializing in Local SEO. She is a knowledge-seeker and is excited about all things SEO, social media, and online ads.